The guys in Shinedown are making their way back to Kansas! The ATTENTION ATTENTION world tour is coming to Wichita on March 19th. Shinedown, along with Papa Roach and Asking Alexandria will be playing at the Intrust Bank Arena in Wichita on Tuesday March 19th. If you want to secure your tickets, click here to purchase! Shinedown was in Kansas CIty in August with Godsmack, CLICK HERE to check out our review and some photos from the show! Papa Roach has a new album coming out on Friday (January 18th) called Who Do You Trust? and you can order that album here! Wanna know what it’s like to see Shinedown live on the ATTENTION ATTENTION World Tour? 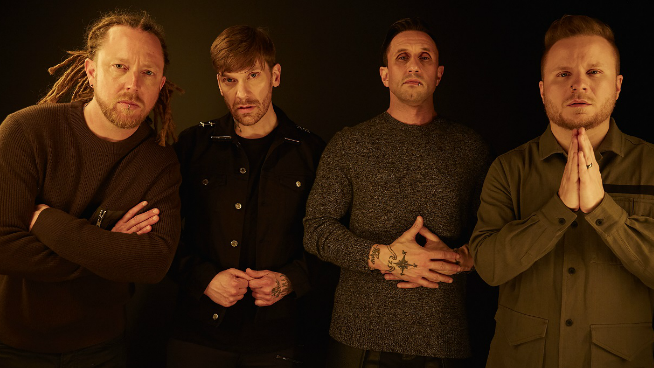 Check out the videos below and don’t forget to watch Shinedown on Live WIth Kelly and Ryan on January 23rd!